This Wednesday the Barbican Centre and Create London held a fantastic event themed around the Panic! It’s an Arts Emergency report, which outlines exclusions and inequalities of access to and within work in the arts and cultural sector. 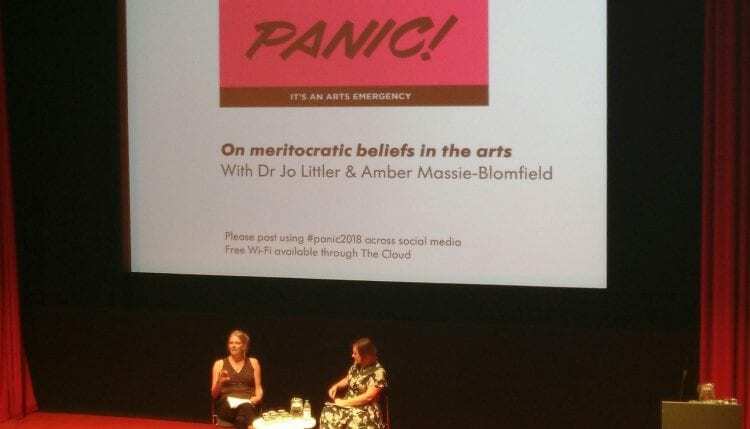 As part of the event Dr Jo Littler from CCCI was ‘in conversation’ with theatre director and author Amber Massie-Blomfield about meritocratic beliefs in the arts. Throughout the day the reasons for gender, sexual, racial and class discrimination across a range of sectors including music, theatre, museums, publishing were discussed and debated, with plenty of input from both speakers and audience. The event culminated in an interview with Reni Eddo-Lodge.